Combining her ability to "see" you with her talent as an artist, Rev. Tonya Henderson paints her "readings" on canvas! 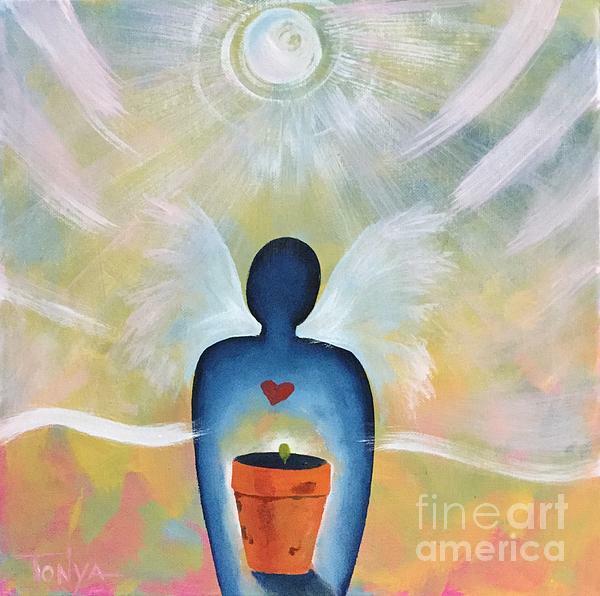 Tonya has been a professional artist for the past 30 years and as been a student of all things metaphysical for 25 years. Combining these talents Tonya creates what she calls Personal Energy Portraits. A Personal Energy Portrait, sometimes referred to at a Healing Portrait, is a reading of your personal energy. These portraits give insight into your personality, personal obstacles, & challenges while directing you to your path of least resistance. All paintings come with a full reading. They are fun, entertaining, and enlightening pieces of original art that can aid in helping you to remember the reading. They can be used as a focus for meditation, and I've been told, new ah-ha moments come sometimes weeks later by viewing the artwork. The paintings are as unique and interesting as each of the people who sit with Tonya. The readings are generally a signature of where an individual is emotionally, spiritually, mentally, and occasionally physically. They will point to things in the past as well as what the future might hold. They may show where a person is on their journey toward awakening or enlightenment and point them in the direction of their next step. 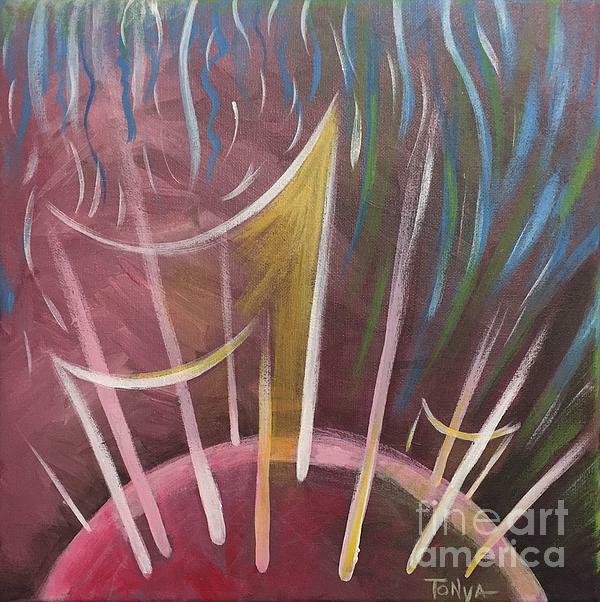 Paintings are created using 12"x12" stretched canvas and acrylic paints. Sessions take approximately 30-40 minutes each and are by appointment only. 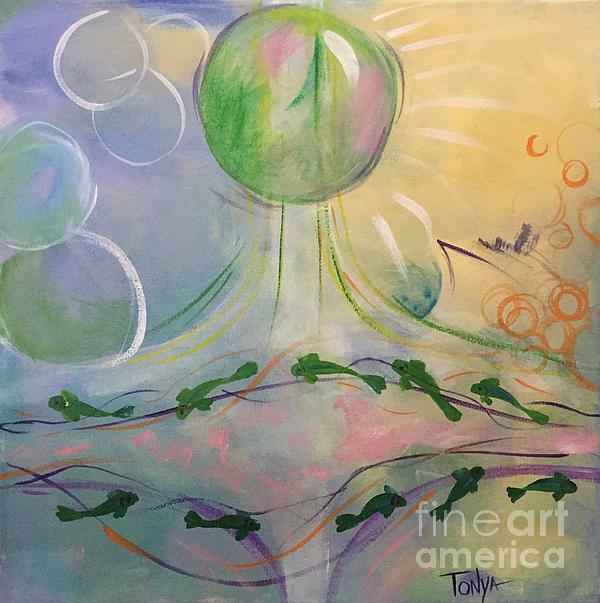 Tonya Henderson is a Visionary Artist, who creates acrylic paintings that reflect the flow, or movement of energy, universal landscapes, visions, and dreams. Each piece contains a fluidity of movement, which integrates circles, spirals, and swirls of color into landscapes or places of the mind. Learn more about Tonya by visiting www.facebook.com/CreativeSpiritStudios or her website at www.Tonya-Henderson.pixels.com. Call 260-627-3012 to schedule your session with Tonya.